ITMA has had a great forecast for 2015 and that has defiantly proven to be true. 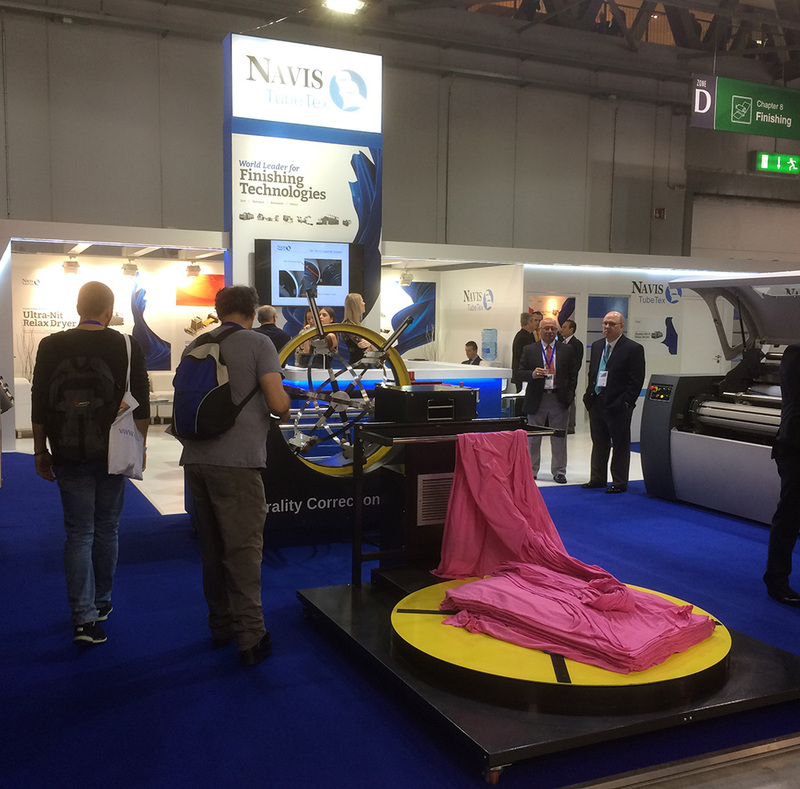 The floor traffic in general and visitors to the booth has exceeded our expectations at Navis TubeTex. We have had tremendous interest from the technical textile market, with particular focus on the Marshall & Williams line for finishing and coating. We have also had an overwhelming interest for our SCS Spirality Control System. The Navis TubeTex SCS is the solution to controlling spirality (torque) in knit fabric. Finally, there is an automatic way to correct and control spirality in knit fabric in the final step when paired with the compaction/calendaring machine. Sophisticated algorithms along with the specially designed correction chamber imparts the correct amount and direction of correction needed to control spirality. Spirality is the angle of the knitted wales and courses from 90 degree as measured by the tumble dry testing method. Knit tubular fabrics have a degree of spirality during normal manufacturing and processing, including knitting, batching, dyeing, padding, drying and finishing. Read more about this new technology here. 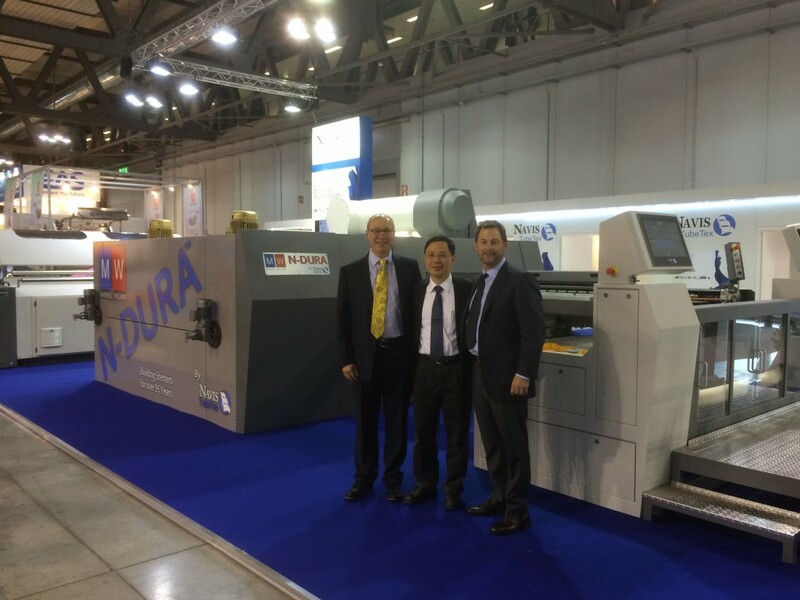 We invite you to stop by our Booth D104 in Hall 14.